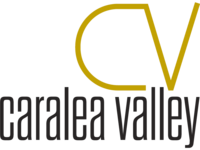 Experience the serene common spaces and comfortable features when you rent an apartment at Caralea Valley. These contemporary apts. include wood-style plank flooring and spacious private decks. The modern fitness center and laundry facility are open around the clock for your convenience. Tour the amazing Concord, NC location—near Concord Mills Mall—to learn more. Pet policy: We welcome 2 pets per apartment home. There is a $350 non-refundable pet fee per pet. There is no monthly pet rent, and we have breed restrictions. Please call our leasing office for complete pet policy.